The last weekend was a ludum dare weekend and I decided to join the fun. 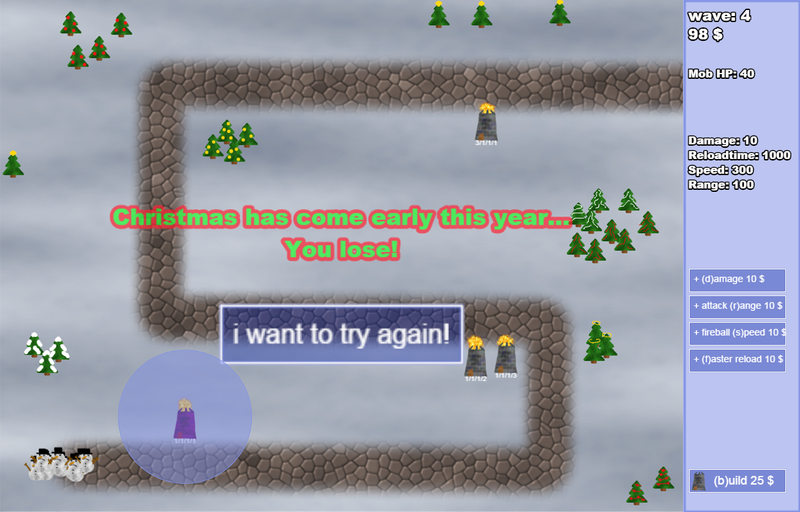 I created a small tower defense game titled "Stop Christmas". It's using phaser & html 5 and you can play it here. Ludum dare is game jam / competition in which you have 48 hours to create a game matching a given theme. The theme this time was "whole game on one screen" - my tower defense matches this, but not in a creative way. You also have to create all the assets (graphics / sounds etc.) yourself in this 48 hour window. I was using the "unofficial" theme (which lost in the last round of theme voting) which was the unicode character "☃". This is why the enemies are all snowmen. You can build and upgrade towers and the remaining health of the player is visualized by "how cold" it is. When I came across kenney's tank asset pack and the new phaser version 2.2.0 I got a little sidetracked and instead of continuing the work on the dungeon crawler I made a little tank shoot'em'up last weekend. Phaser is really great for writing 2d html5 games and it reduces the work required by a lot, since it not only manages all sprite related things but also comes with integrated physics. It ended up at 600 lines of typescript and you can play the result here (for free in your browser). New in this video are also improved the combat animations for the main character. Instead of just moving the hand (and the weapon) now the whole character is animated to improve the feel of combat. Every attack now has a range of damage, a critical chance and a critical damage percentage. The combat texts have been changed a to better reflect what is going on: damage to the player is now red with a minus sign, damage to enemies is white and cirtical damage is yellow with a slightly bigger font. 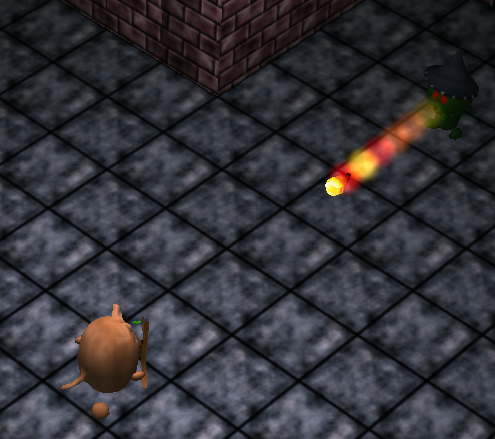 The wizard is now ingame and can attack the player with fireballs. The fireball itself is a blender model (a half sphere with a cone shaped tail) and it creates an alpha blended sprite every few frames of travel. These sprites have one of three random colors and fade out over half a second. These sprites (and also the combat-text sprites and the hit-effect sprites) are never destroyed but kept in an array and the next effect will reuse the first currently invisible sprite and only create a new one if no unused sprite is available. I was looking into three.js particle systems (which are now actually named point cloud) for the animation effects - but in the end I went with simple sprites because it's easier to handle. The amount of sprites can be increased on the fly (this is not possible with point clouds) and also the amount of particles/sprites needed is so low that it does not (yet) matter performance wise. I think this will be very helpful and enable me to find many errors without even having to start and test the game. This also nicely sets up another coding goal. 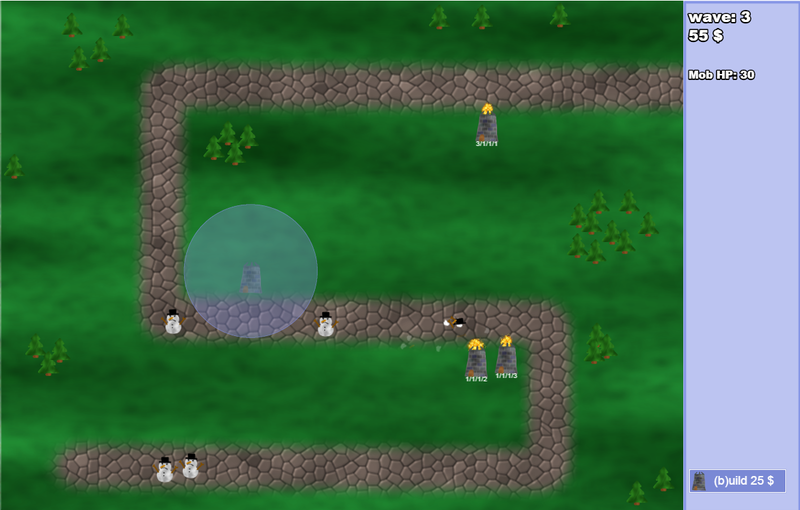 Since the wizard is clearly casting something, I will need to implement projectiles into the engine. In the case of the wizard I am thinking fireballs, but projectiles will be useful for arrows and other stuff, too. This post was the first time I wanted to export a blender animation to gif. export (check "as animation") and choose a name ending in ".gif"
The enemies (for details check out the last post) can now be targeted (the current target is highlighted) and you can interact by clicking on them. Interaction in this case means, you hit them and they hit you. The hitting is visualized through an attack animation which moves the hand forward and rotates it nearly 90 degrees. Since the weapons are attached to the hand-bone the weapon appears to be swung. There is no visualization for the impact of the weapon yet (I will try for some kind of blood particle effect later), but the damage is shown as a number that floats up and fades out. The combat right now is very static, since there are no damage ranges, evasion chances, blocks, different attacks, skills or projectiles yet. I will have to come up with a fun fighting system once all the basics are in place. The death of an enemy is animated too, they fall backwards and then sink into the ground. Since the enemies are just a differently textured clones of the player we have the same animation for the player dying, minus the sinking into the ground part but with an added "lights out" effect (as seen at the end of the video). And I am also coding a quick way to define dungeon layouts so I can start to test bigger dungeons. So stay tuned or more updates. 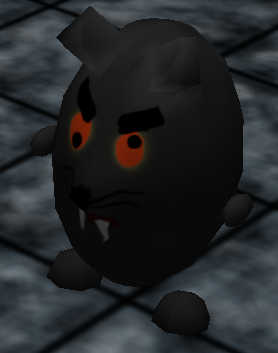 The dungeon crawler I showed to you in the last post is still missing many vital parts, one of them is enemies. They are of course quickly reskinned versions of the player avatar. But they do the trick for now. Making them move towards the player was easy - because the player could already move towards a target. 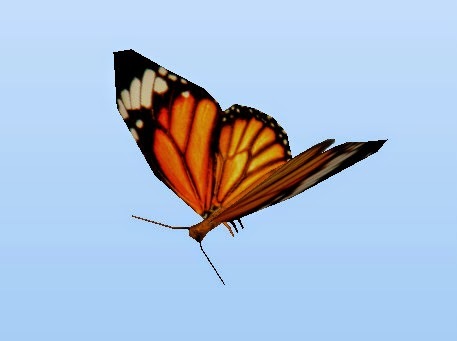 For the enemies the player is the target (instead of the cursor). Collision is more interesting: It doesn't look very good when the enemies run through each other and through the player. So now every object (enemies and the player) has a collision radius. It took me this evening to figure out how to handle the collisions exactly - first approach was to just stop movement as soon as the spheres overlap any other sphere. But this way both spheres are stuck in each other. Improvement one: Not only stop, but also move back the last movement. (substract the movement vector from the current position). This way the spheres stay outside of each other. 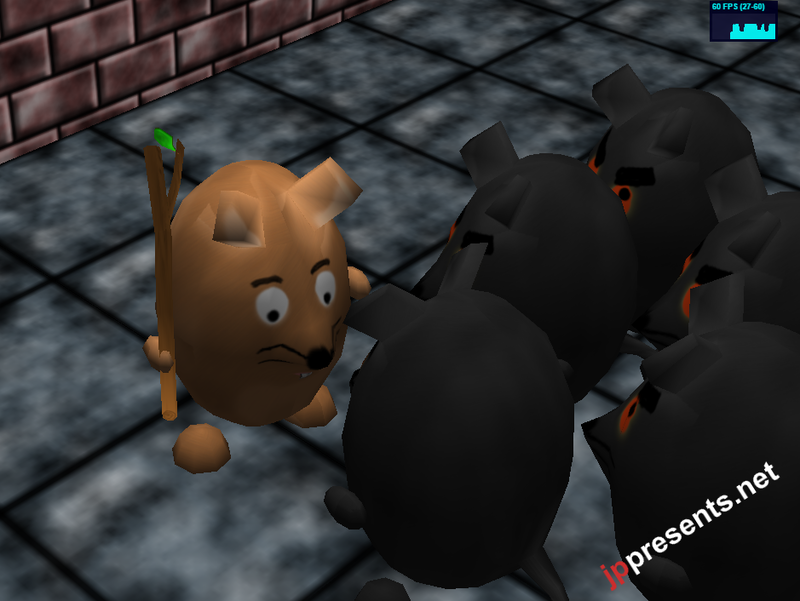 This kind of works, but as soon as there are more enemies than one approaching from the same direction, the first one reaches the player, the second one stucks himself behind the first one. Instead of subtracting the complete Movementvector in the case of collision, I only substract the "part" of the vector that goes into the sphere. This way  (if the enemy does not plan to go straight through the sphere) there is still movement and it looks like they go around the sphere. The effect will be demonstrated in the next "show-and-tell"-Video. Yes, there is a leaf on the stick and yes this was a request by my wife. 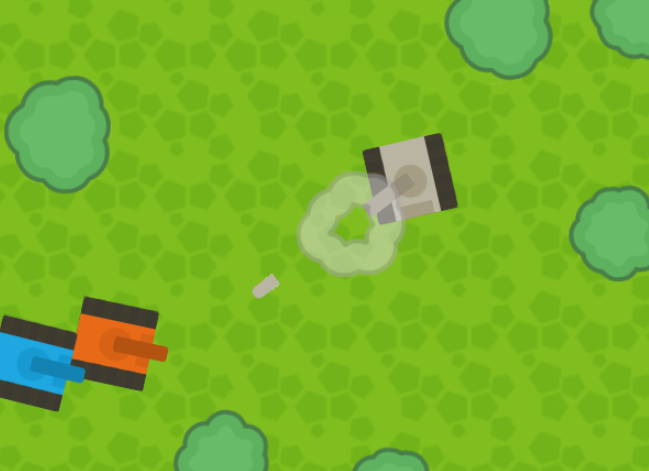 This is the first post about the game I am working on. At this point I plan to make a realtime dungeon crawler with hack n' slash combat. It's going to be a browser game that requires no downloads to play. I plan to create everything from scratch, which means only using assets I create myself (possibly with some artistic help from my wife) and to use only "basic" libraries not full game engines. I'll keep you posted on the progress here - and of course once there is any real gameplay I will link playable demos too. 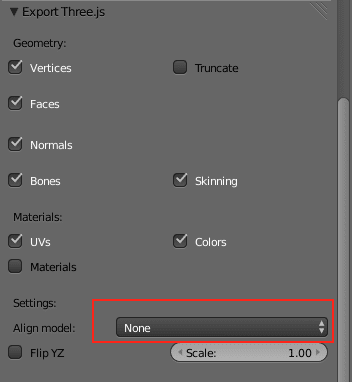 Remember this: Never set the exporter to any align (this took me 4 hours to figure out), always align "none". 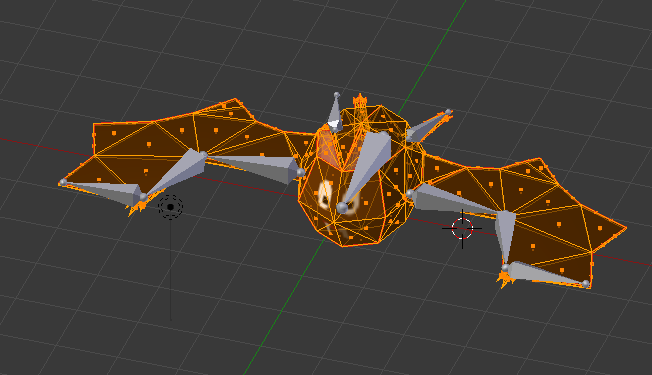 From what I figure: The exporter moves the whole model (and also all bones) if the alignment is changed while exporting. (So far so good), but the pivot points of the bones are *not* moved with the rest. This way, if an animation rotates a bone it now rotates around some point, but definitely not the position it rotates around in blender. I found some pointers to similar problems in this question on stackoverflow and while the answers were interesting and gave me pointers, seems nobody had the alignment problem I had. All in all the exporting seems to be a very delicate process. Why I had set the alignment to center is another story - it's about how I export the dungeon-parts and will be covered in a later post. I made the decision that I want to create a game in 3d. The reason behind the tools: Blender & Gimp are simply the best free tools available I could find. They also offer most of what the major (and pricy) products can do. It's a virtual birthday card and not directly related to the game, but it was a good starting point to get to know the tools and evaluate them.